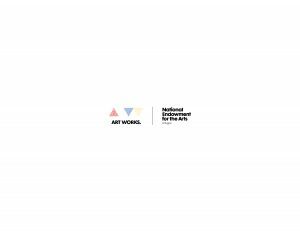 Ac­cording to report from the National Endowment for the Arts, “US Trends in Arts Attendance and Literary Reading: 2002-2017”, the number of adults reading for plea­sure dropped by a small amount be­tween 2002 and 2017. The number of people over 18 who read a book not for work or school was 52.7%, down from 54.6% in 2012, 54.3% in 2008, and 56.6% in 2002. The survey is conducted every five years and asks respondents about reading habits from the previous 12 months. The results are based on answers from nearly 28,000 adults. The declines are not universal, however. The number of adults read­ing poetry increased to 11.6% in 2017 from 6.7% in 2012 and 8.3% in 2008, though still down slightly from 12.1% in 2002. Adults reading nov­els or short stories dropped to 41.8% in 2017 from 45.2% in 2012, 47% in 2008, and 45.1% in 2002. Readership of plays increased to 3.7% in 2017 from 2.9% in 2012. There are declines in fiction sales, too. The Association of American Publishers released a study that revealed a 16% decline in adult fiction sales from 2013 to 2017, from $5.21 billion to $4.38 billion. The only year that didn’t see a decline was 2015, when sales increased 1%, mostly due to a few high-profile titles that sold more than a million copies each in print.